Tag Heuer is a heavy hitter when it comes to the evolution of the modern chronograph. The brand is synonymous for racing sports and adventurous bravado fused together. If you are looking for watches that’re robust, functional, and never fail to impress, TAG Heuer watches may just be the one for you. 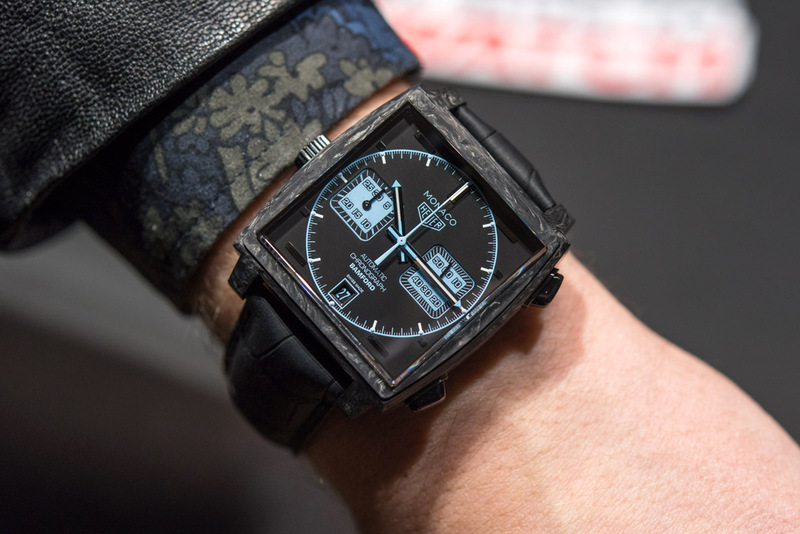 When talking about the history of TAG Heuer, you first have to talk about Heuer. The Heuer brand was founded in 1860 by Eduoard Heuer. In just a few short years, Heuer filed an impressive number of patents. During 1869, they secured the patent for a keyless, crown-operated winding system for pocket watches. In 1882, they patented the company’s first chronograph. And in 1887, they received one of their most notable patents for an oscillating pinion mechanism. Major watchmakers still use this technology. That same year, Edouard’s son Jules-Edouard joined the family business. Sadly, founder Edouard Heuer passed away five years later, in 1892. Jules-Edouard proudly carried on his father’s work. In 1895, the company filed yet another patent for its first water resistant case. Then, in 1911, Heuer patented their first dashboard chronograph called Time of Trip. This patent is particularly notable because it sparked the longstanding relationship between Heuer and the automobile and airline industries. The company’s growth allowed for increased research and development, which ultimately led to their next big breakthrough. In 1916, Heuer released the Micrograph, the most accurate stopwatch at the time. For the next few decades, the brand continued to focus on their close relationship with the automobile and airline industries. In the 1930’s, they began producing chronographs specially designed for pilots. Then, in 1933, Heuer introduced another dashboard instrument for automobiles and planes: the Autavia. This clock featured a timer function and could run for an impressive eight days without being wound. The 1950’s also marked the beginning of Heur’s partnership with Abercrombie & Fitch. They produced exclusive versions of the Seafarer and Auto-Graph for the brand, with special dials and unique color patterns. In 1962, Heuer made history as the first Swiss watchmaker to enter outer space. On February 20th, John Glenn made the first American space flight with a Heuer stopwatch on his wrist. A year later in 1963, Heuer launched one of its now iconic models: the Carrera chronograph. Then, in 1969, the brand made one of its most groundbreaking horological advancements. Heuer had discretely been working on a top secret effort called Project 99 in tandem with Breitling, Buren, and Dubois-Depraz. Together, they invented the first self-winding chronograph movement, called the Chronomatic. They used it in three wrist chronograph models: the Carrera, the Autavia, and the brand new Monaco.